There is just something so delicious about homemade pudding! Today’s recipe is a fast, easy, fun and inexpensive treat to make! I love pudding and I always have, even as a kid. I remember my mom making pudding on top of the stove and having me stir and stir and stir with the wooden spoon until it changed color and texture and we knew it was done. She still has the same little glass pedestal cups that she’d put the pudding in. I took these memories and carried them on for my own kids on occasion, but not often enough, in my opinion. It had been such a long time since I’d made a stove-top pudding. Recently I saw a homemade pudding recipe that was quick, gluten free, and had just a few ingredients. The stirring on top of the stove is what takes the longest–that and waiting for it to chill if you only like it cold. I love warm pudding and I love chilled pudding, and the last time we had it, we had company over and we debated: do we love the skin that forms on top or not? It was a mixed review. I don’t mind it, I actually love it, but some people didn’t like it at all. A double recipe makes about six mugs of pudding. I have found that for this recipe I need to at least double it for there to be enough for five of us, but when we have had company, I have even tripled it because there were eight of us in total. I found the recipe for this Chocolate Cornstarch Pudding on allrecipes.com, one of my favorite go-to recipe sites. It got 4.5 stars out of five, and I’d give it a whole five out of five if I were rating it! In a saucepan, stir together sugar, cocoa, cornstarch and salt. Place over medium heat, and stir in milk. Bring to a boil and cook, stirring constantly, until mixture thickens enough to coat the back of a metal spoon. Remove from heat, and stir in butter and vanilla. Let cool briefly, and serve warm, or chill in refrigerator until serving. Breakfast, snack or dessert? All of the above! My blogging schedule is so off this school year, but I’m getting posts in whenever I can for you, and I know you’ll think this one was definitely worth the wait! 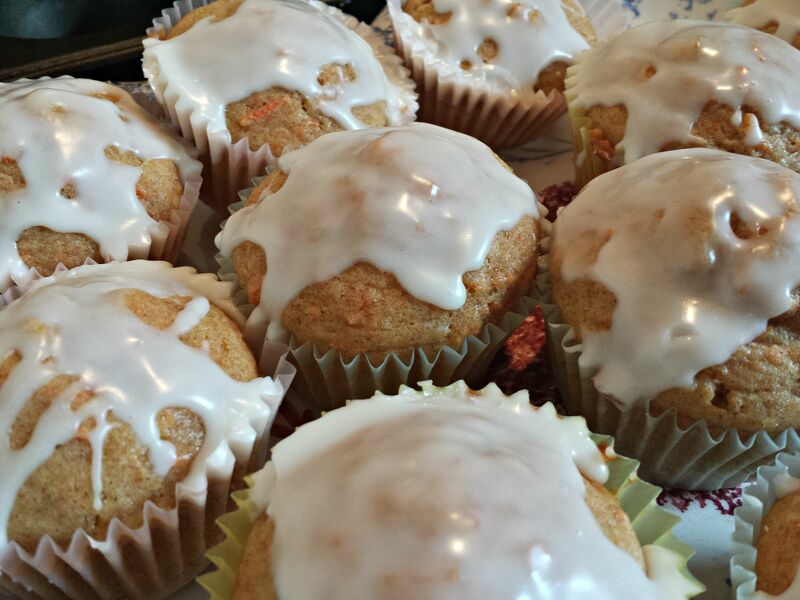 Today’s is one that’s been on my editorial calendar since the spring when a friend of mine shared photos of these Carrot Cake Muffins on Facebook. I asked her for the recipe right away and she sent me this one from Allrecipes.com, a favorite site of mine when looking for new recipes. 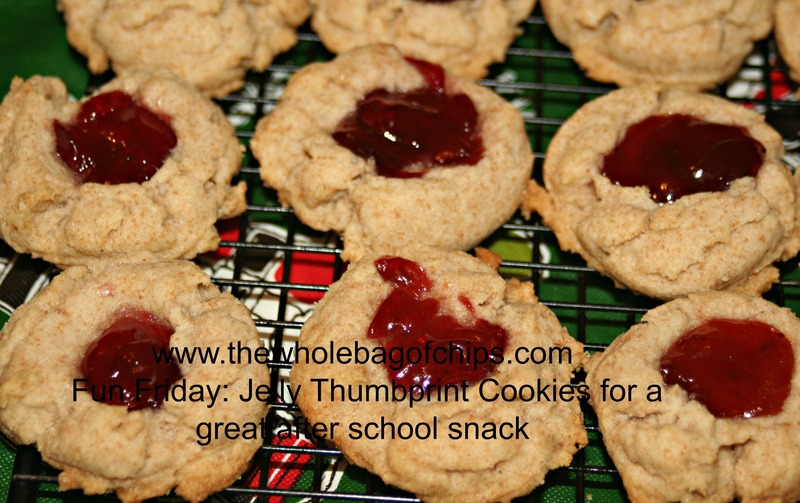 I knew right away my kids would like these, especially if I added a little icing made with confectioner’s sugar. I mean really, what’s not to love?? My favorite thing about them is that I’m sneaking in a little bit of vegetables that normally they might not all eat. I have since made these multiple times. One afternoon I only had time to make the muffins, not the icing, and left that recipe out for my oldest to do on her own at home. It worked out perfectly. I love anything that can double or triple in its job, and these muffins do just that. They can be a breakfast, an after school or late night snack, or even a dessert. Although we’ve always had them with the icing, I’m sure they’d be delicious without it also. Most times when I’ve made this in the afternoon, I bag up the leftovers into bags of two muffins each, and that’s a breakfast or a lunchbox snack for the next day too. You can click here for the muffin recipe from Allrecipes.com, and below is the Powdered Sugar Icing recipe that we use each time. Mix powdered sugar, vanilla and 1 tablespoon milk or juice. Stir in milk or juice, one teaspoon at a time, till of drizzling consistency. Makes 1/2 cup or enough to drizzle over one 10-inch tube cake. In honor of Meg’s last week, a recipe from her to me. Reposted today in honor of Miss Meg and her beau William and their recent wedding!! “What’s for Dinner Wednesday” is my editor Meg’s brainchild. As my blog was in its infancy, it was Meg who asked me if I’d like to do a weekly post with my recipes for the Cranston Herald’s Facebook page. Of course I said yes, and “What’s for Dinner Wednesday” was born. This Friday is Meg’s last day at the Cranston Herald as she has gotten an exciting new job, working as the press secretary for our Congressman, James Langevin. We will miss her soooo much. So, so much. Meg is a wonderful editor, a wonderful boss. A great listener and someone who knows just what to say, how to say it, and when. Did I mention that we’ll miss her? Recently, Meg passed along a recipe to me for a new marinade. She found it on Allrecipes.com and said she thought we’d like it a lot and that it was easy. I said I’d try it soon, and just in time for her last “What’s for Dinner Wednesday” post, we did. And yes, we liked it a lot. So today, in honor of Miss Meg’s last day at work this week, I am sharing with you the recipe she shared with us. Thank you Meg for all you’ve done and best of luck in your future! I know you will go far! Remember to save a little bit for basting later on! 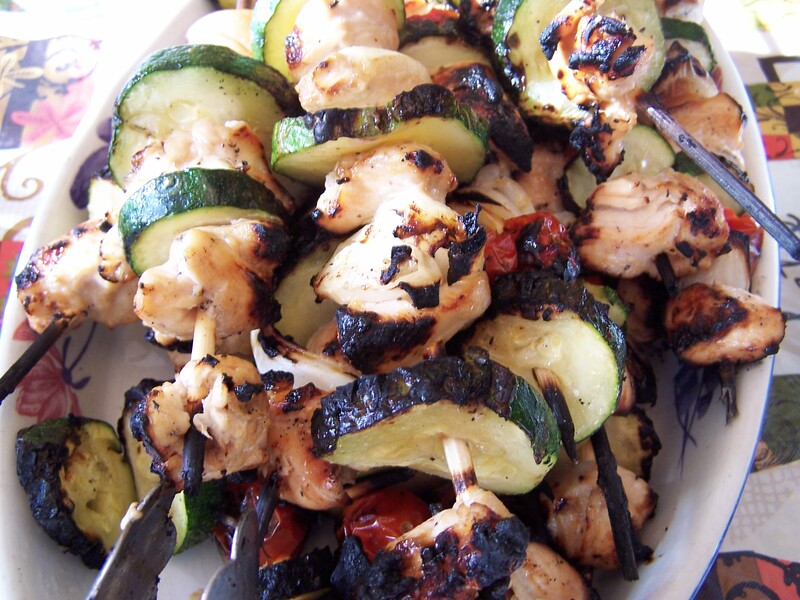 You can add bell peppers, zucchini, mushrooms, grape tomatoes, or anything you’d like to your skewers! 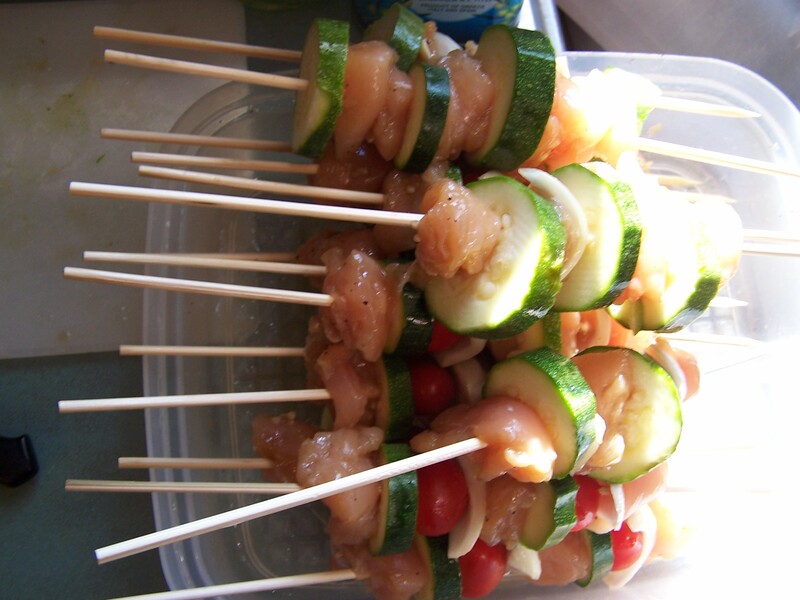 Marinade first, skewer second. Ready to grill! 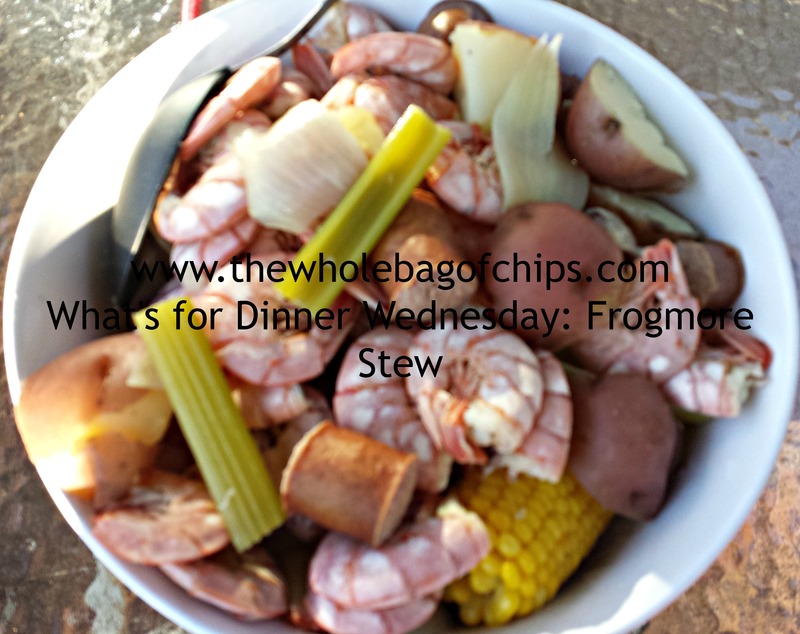 Frogmore Stew: I couldn’t get enough of it! And now I’ll continue from there, with my disclaimer out there. I’ve mentioned it before, but I’ll mention it again: I have a seafood allergy. It’s not all seafood, but it’s a lot of seafood: clams, oysters, scallops, calamari, mussels. It’s class two of shellfish, the mollusks. It’s also a relatively new allergy. I grew up eating all of the above, but only began reacting to the seafood in the past five or so years. It really, really stinks. It stinks even more, I think, because I know what I’m missing. I can taste those foods in my mind. I crave them. As a native New Englander, it’s an awful allergy to have, and in the summertime it’s particularly really awful. Seafood is everywhere and it’s particularly prominent in the summertime. It’s the thing to do, the post-event treat, or the event itself, as in a good, old-fashioned clam boil. A clam boil traditionally is where you cook the clams, the corn, the potatoes, the onions, the white fish, saugy hot dogs, everything all together and then you eat it. The smell is to die for if you love seafood the way I do. The taste is even better. You often pair it with some white clam chowder, and some golden fried clam cakes. Clams, clams, clams. And, the good husband that he is, I had it for dinner that same night. He made the whole thing, just for me. I will say, as I alluded in the beginning of this post: I was the only one. According to my husband, a true clam boil is better. But, I honestly didn’t care. I was so happy to have a version of a clam boil type of dinner that had almost all the ingredients, the same aroma, and wouldn’t put me down for the count, that I really didn’t care who else loved it as much as I did. So, my recommendation? I’d totally make it and eat it again. I have friends who also said they made it and loved it in and around the same time that I did, so it wasn’t just me! If you like all the ingredients in the recipe and you’re looking for a new and different twist on a traditional New England clam boil as I was, I highly recommend you try this one! This meal was tasty and a good way to combine a lot of things I had on hand. You know how it is this time of year. Crazy, crazy, crazy busy. Some weeks I don’t get to plan out a menu of meals for the week. Some weeks I don’t get to do a “big shopping” at the start of the week either, and I’m left to pick up things as I need them on the run, or to make meals with whatever I’ve got on hand. Today’s meal is a combination of all of those situations. I hadn’t done a menu for the week. I hadn’t done a big shopping. I was hurriedly picking up things as I went along, between runs here there and everywhere. That’s why I mistakenly grabbed a head of cabbage one week instead of a head of lettuce. That’s a whole lot of cole slaw, and it’s not really close to St. Patrick’s Day either. That’s why early one afternoon, I was now Googling “kielbasa and cabbage recipes” one day, as I tried to make a meal with whatever I had left in the house: a single package of turkey kielbasa, a head of cabbage, and a bag of egg noodles. Our go-to site, Allrecipes. com had a good recipe for Kielbasa and Cabbage that looked doable and not too crazy with things my kids wouldn’t like. It called for simple ingredients and looked quick. It would also allow us to use up half the head of cabbage. I decided we’d try it. The only difference I’d make would be to serve it over the egg noodles we had rather than over white rice. 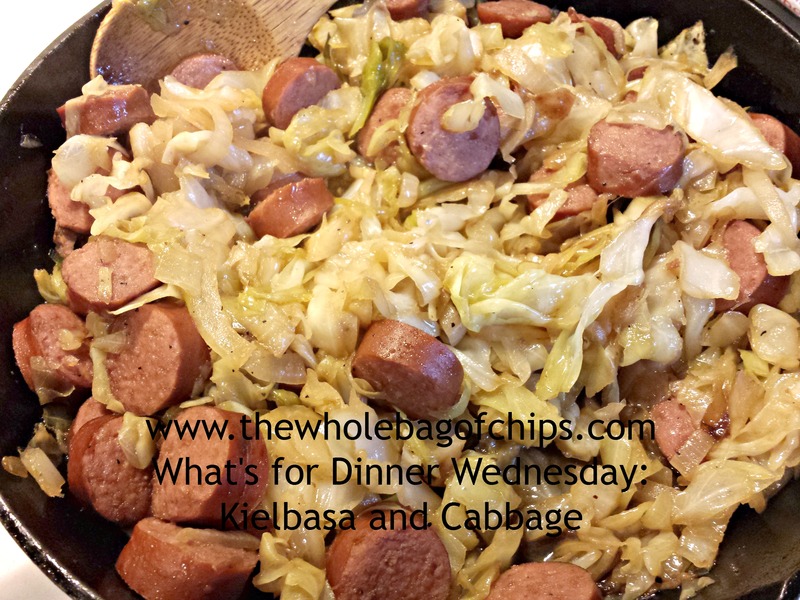 The recipe was tasty and well-received by my family and I used up half my cabbage and my single package of kielbasa. It also gave us a different kielbasa recipe to try, which was a nice change. There was none left of the main dish and really, only some of the noodles remained. Below is the recipe as it appears on AllRecipes.com. Heat the oil in a skillet, and cook the onion and cabbage until tender. Season with Cajun seasoning, pepper, salt, and Worcestershire sauce. Reduce heat to low, cover, and cook 20 minutes, stirring occasionally. ORIGINALLY POSTED JANUARY 13, 2012: Earlier this month, when I talked about grocery shopping on a budget, one of the staples that I mentioned buying pretty regularly was stew meat. I have two recipes that I use most regularly when making something with stew meat (and I NEVER make stew, I don’t like it.) Recently though, I was looking for something new and different to make with the beef. I did a search of Allrecipes.com and I found one. The recipe called for cooking the stew meat through, throwing in broccoli and onions and adding a teriyaki sauce to it while it simmers and everything cooks through. I figured I’d try it out since I almost always have broccoli on hand and I had an onion. So, I went on Allrecipes.com again and found a teriyaki sauce recipe. I love a meal that you can make in just one pan. Easy to cook, serve and clean up. Below is the recipe for the sauce as I found it on Allrecipes.com. 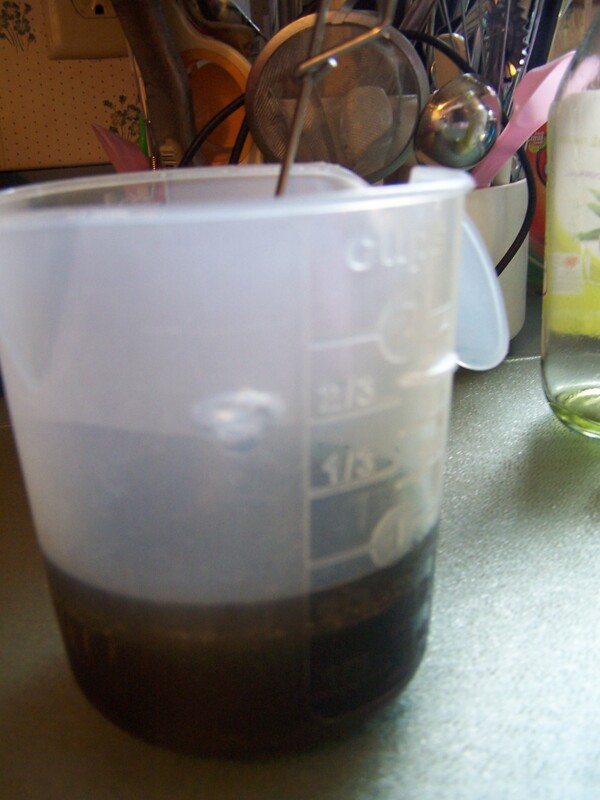 1) Mix soy sauce, one cup water, ginger, garlic powder, brown sugar and honey in small sauce pan. 2) Mix cornstarch and 1/4 cup cold water together in a measuring cup. 3) Add the cornstarch and water to the pan of sauce. Heat to desired thickness, add water to thin. I served this on a bed of brown rice.